The roof is easily one of the most long-lasting structures of your property. That said, it’s quite difficult to determine the actual age of the roof by just looking at it as the roof is a bit deceptive in terms of showing its true state and condition; let alone age. YES Contracting Services, your local roof repair contractors, shares how you can estimate the age of your roof through a thorough inspection. Many homeowners use the amount of damage the roof has sustained as a determiner for its age. This is flawed, though, as damaged roofs don’t always equate to a roof that’s past its service life. “Small” roof damage, such as cracked flashings and missing shingles, will only require immediate repair to restore the condition of the roof. There are, however, roof problems that you can use as an indicator of the age of the roof. These problems generally require full replacement of the roof, unlike smaller damage, which is often restricted to just parts of the roof. One of the simplest ways to determine the age of your asphalt roof is by checking the amount of granules left on the surface. This serves as the waterproofing layer of most residential asphalt roofs and commercial roofing systems. The granules are shed over the course of the roof’s operating life span and they often find their way in the gutters. If you notice that there’s a large amount of granules in the gutters and the roof is starting to look smooth, then it’s a sign that it has lost most or all of its waterproofing layer and will require replacement in the near future. Curling and buckling shingles are two other signs that the roof will require replacement soon and they are actually the consequences of complete loss of roofing granules. While you can repair cracked shingles, they become irreparable once they start curling and buckling away from the surface of the roof. 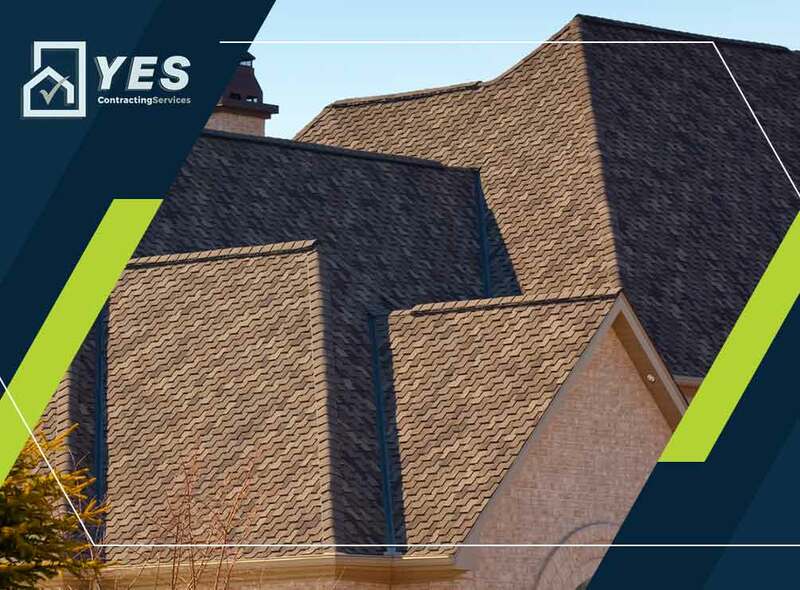 At YES Contracting Services, you can count on us to give you an accurate and in-depth look at the current condition of your roof. We’ll tell you if it just needs repair or requires replacement. We also offer gutter installation services. Call us today at (423) 702-4000 to learn more. We are local roof repair contractors in Johnson City and Kingsport City, TN.